Here is a "Special*Tea" gift basket that will be raffled off at the Women's Enterprise Foundation "Teatini" Fundraising Event being held at The Urban Tea Loft. 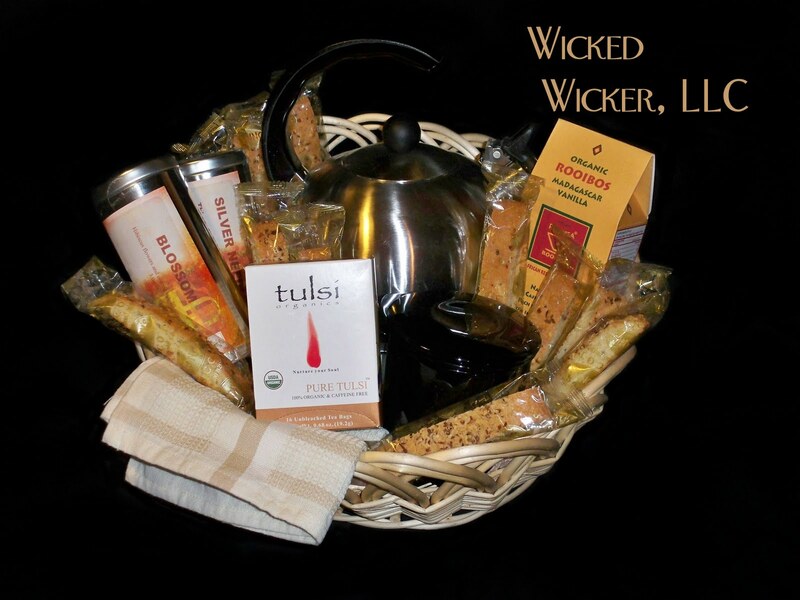 Thank you to The Urban Tea Loft for donating all the wonderful tea shown in the gift basket! This is really a nice basket. I love the teapot in the middle of it!